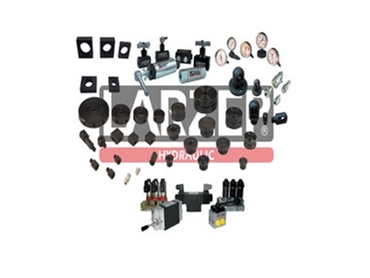 Larzep’s range of SM cylinders are the standard range of single acting spring return cylinders using 700 bar of pressure. 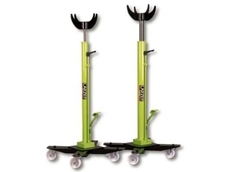 These are suitable for lifting, pushing, pulling, bending, holding and pressing applications. 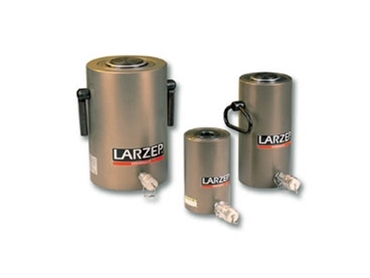 Larzep’s SM cylinders are suitable for unlimited cycles and come with a 2 year warranty against manufacturer defects. All Larzep cylinders are designed with a safety factor of 1.5:1 and all products are tested individually before they leave the factory. The collar thread is designed to take the full load applied by the cylinder when used in fixtures eg. custom presses. Base mounting holes for Base Plates are also fitted. Standardised threads and couplings also make the cylinder interchangeable as replacements between other brands. 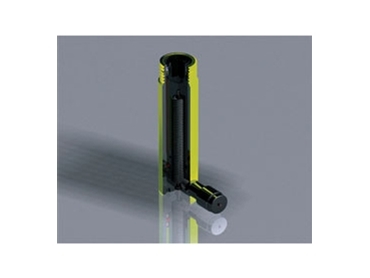 Lime Green baked enamel coating for high visibility and to prevent flaking. Where high mobility and light weight equipment is needed Larzep’s SAM range of aluminium cylinders offer the same lifting power as standard cylinders with much less weight. 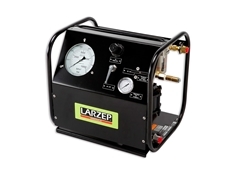 Larzep’s 700 bar hydraulic equipment is available with a full range of accessories such as oil, snubber valves, pressure relief valves, couplings and hose assemblies. 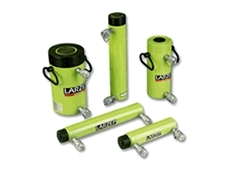 Larzep’s hydraulic rams can be used with a large range of different pumps including standard 1 and 2 speed hand pumps, lightweight foot operated air and hydraulic foot pump where both hands are needed for production. 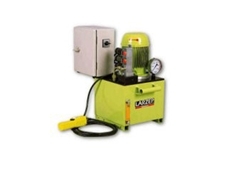 Increase speed and oil tank reservoir with Larzep’s range of electric pumps come in 240v or 3 phase specification and can be fully pendant operated for safety. 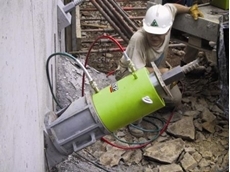 For Underground mining aluminium free can also be specified. I have an outboard motor that does not have lifting device, a jack with a stroke of 22cm 3 stage or 2 stage. Weight involved is no more than 100 kilos. i have retired and run out of projects your company has been recommended by Hare&Forbe hoping you can assist. j.t. 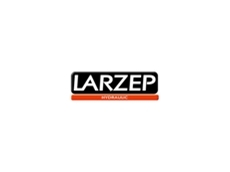 09/08/11 - Larzep Australia will be showcasing their range of hydraulic equipment at the AIMEX 2011 flagship exhibition in Sydney. 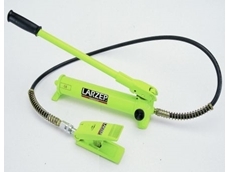 26/07/11 - Larzep Australia offers the Hydraulic Spread Cylinders Series, which are ideal Hydraulic Cylinders for spacing, positing and maintenance and rescue applications. 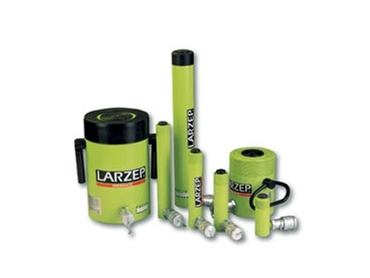 21/07/11 - The lock nut cylinders available from Larzep Australia are designed to support building foundations and mechanical loads as well as bridges and buildings. 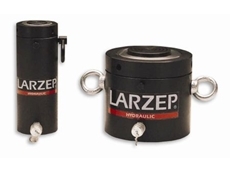 12/07/11 - The hollow piston cylinders range from Larzep Australia is available in steel or lightweight aluminium, and suits a range of construction and maintenance applications.